Showing results for tags 'devon and cornwall police'. Please see the like: http://www.devon-cornwall.police.uk/our-people/recruitment/special-constables/training-preference/ (Training preference We are currently developing an open learning package which will allow students to undertake the academic aspect of their training at home. This option could include e-books, web-based seminars and various other methods of learning at a time and place convenient to you. This will reduce the number of training weekends in Exeter, making joining the Special Constabulary available to people who previously could not commit to the conventional weekend classroom programme. Some benefits could include: Learn at a time that suits you Reduce travelling times to training facilities Learn in the most comfortable environment for you With this in mind please can you answer the following questions within the linked survey. Please answer honestly, this survey is anonymous and the information is being used to develop the most accessible learning package for as many people as possible. 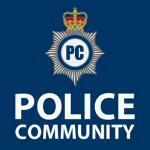 Webpage links Special Constabulary Training Survey) What are your thoughts?? I think that you can not replace a person and their experiences as a trainer in a classroom and be able to learn to the same standards at home with a gadget and all of the distractions?? A VIDEO appearing to show teenagers abusing and threatening two Plymouth police officers has gone viral online. The footage appears to have been filmed by the main protagonist using his mobile phone. One police officer is particularly targeted, while his colleague is also verbally abused. The lad on the video says to the city PC: "Watch your back", before going on to say: "You're in Estover now." The incident is filmed at a bus stop as the police officer's colleague appears to be carrying out a search of one of the lad's pals. The video has been posted on Facebook and already been shared more than 2,000 times. Over 100 people have commented on the footage - some declaring outrage that the lad who filmed it was not arrested at the scene. At the end of the video, the two PCs get into their car and drive off. The lad is warned about his language several times by the main target of his abuse. "I've got a right to record you," the lad says after being warned he is being cheeky. "You're in Estover now. You want to watch your back, mate. "You're in Estover - things happen round here. Bad things, mate. People go walkabouts, mate." He then calls the officer a "little ******g perv" and goes on to say: "Get back in your Baconmobile and drive off. "You're not wanted here. Jog on, you little mug. "You're on minimum wage, you little bum. You're working for me." A police spokesman said: “Unfortunately we have a small minority of people who are abusive to the police and we understand some people will be shocked watching the video and wonder why he wasn’t arrested. An officer has to use their judgement and take account of a number of factors. “The individual doing the filming is known to Plymouth police. The officer was aware he was being filmed and that he was being deliberately goaded to react for the benefit of the video. “I can confirm this incident is subject to a police enquiry and action will be taken against this individual. Just because action isn’t taken at the time does not mean it is the end of the matter. Unfortunately I can’t comment further on this incident, but it was important to provide some context." http://www.plymouthherald.co.uk/VIDEO-Plymouth-police-officers-terrorised/story-26022238-detail/story.html I can't get the video to display properly so you'll need to click on the article link to view it. Can a Special put themselves 'on duty'? Hi guys Can someone answer a question that came up in our training at Middlemoor this weekend? We were going through GOWISELY and the need to show warrant card came up to ID yourself if you were off duty at the time. With regular officers they can put themselves on duty, but our instructors couldn't say if the same applied to a Special if they were off duty but had their warrant card on them. Can they place themselves on duty to respond to a particular situation?